Another perfect Valentine's Day Gift is Lovely by Sarah Jessica Parker. It has been around for a while now, but she recently just came out with a new fragrance called Stash, which is why I am bringing this one up. It is fresh and new again. Get carried away by Lovely Sarah Jessica Parker perfume. The eau de parfum spray is formed from layer upon unexpected layer of fragrance. Look upon loveliness at every turn. Discover beauty in the string of pearls resting on an antique dresser, or the strappy shoe laying in wait on the floor—both prepared for a big evening at the ballet. Experience the allure of the swelling music and movement of the dance as a ballerina floats across the stage. Recall the midnight stroll home, hand in hand on a romantic evening lit by the soft light of each streetlamp. The splendor lies in the memory of a perfect night, brought back to the forefront of the mind by an equally exquisite perfume by Sarah Jessica Parker. Lovely Sarah Jessica Parker perfume blends the innocent with the sultry. Lovely eau de parfum captures top notes of lavender, bergamot and apple martini (shaken, not stirred) with hints of orchid, paper whites and patchouli. The individual aromas come together, mingling with a woody base of cedarwood, amber and musk. Fashioning a fragrance from sweet ingredients and exotic precious oils, a finely sophisticated perfume emerges. An expression of femininity, and timelessness, Sarah Jessica Parker perfume is for the everyday, glamorous or casual. It is reminiscent of Stash. There is a little bit of it in there. Just a little. I love how powdery of a floral it is. It has those woodsy notes in it from the orchid, paper whites and patchouli. They come together in the base of cedarwood, amber and musk. When you wear it you feel amazing. Old fashioned charming with new aged glamorous. 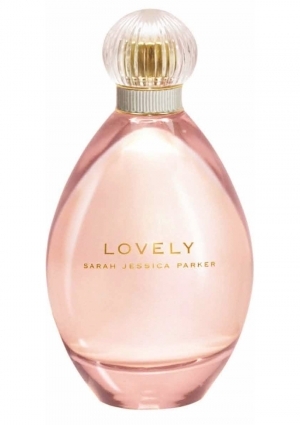 Purchase Lovely by Sarah Jessica Parker at Target, www.fragrancenet.com, www.amazon.com, and www.walmart.com.